NYC, 04/03/2019, 11:00AM. 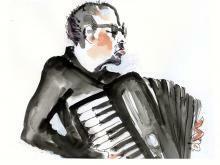 Accordion Mixology: Carousels, Zombies, Tentacles and Other Gaseous Matters. An interactive day for Children and Adults alike. and curator Dr. William Schimmel.